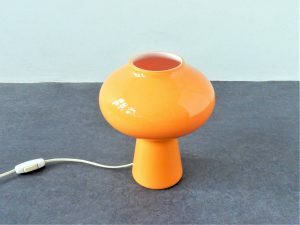 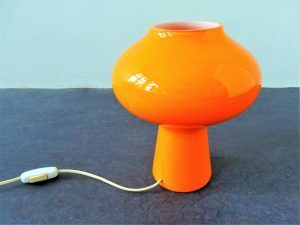 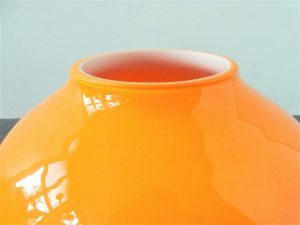 This orange Murano glass table lamp goes by the name of 'Fungo', this translates to Mushroom. 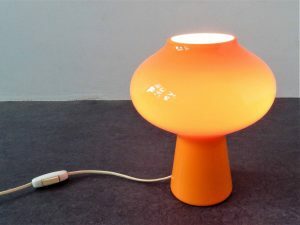 A design by Massimo Vignelli and produced by Venini. 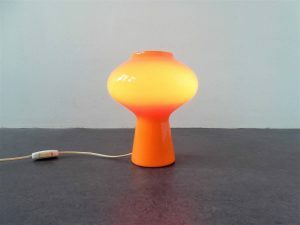 Italian designed glass lighting from the 1950's but in production for several decades. 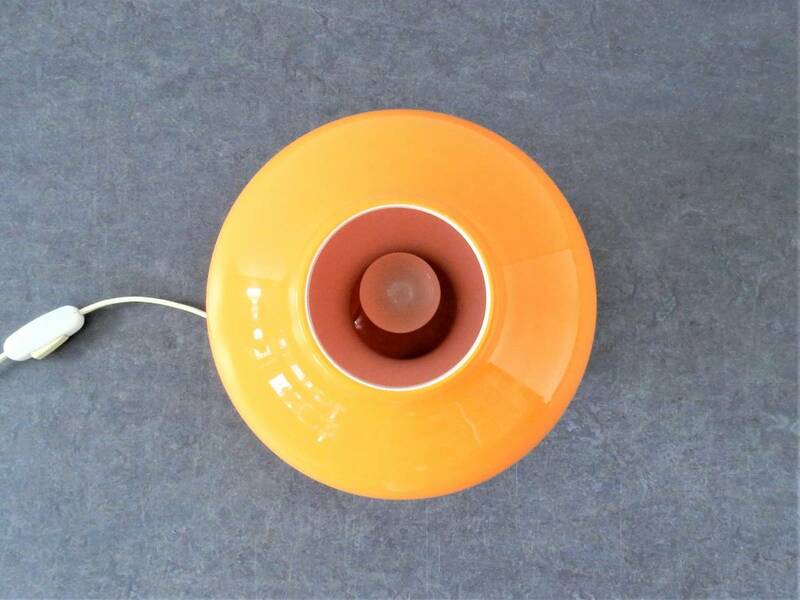 This lamps is in an excellent condition with no chips or cracks to the glassworks.